Expanded kit combines advanced features and great sound. This kit has it all. The DM7X Kit serves up plenty of drums and cymbals, an intuitive module with hundreds of sounds, and ties it all together with a preassembled rack that will have you playing in minutes. 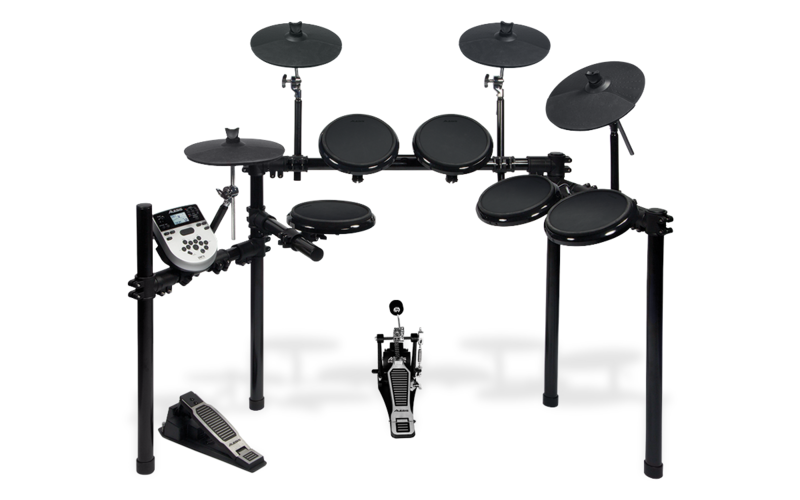 In addition to the low-noise Stealth Kick 2 compact trigger pad, the DM7X Kit drum set features ultra-quiet rubber drum and cymbal pads, making it the ideal choice for professional drummers who want an advanced electronic kit for quiet practice. The appeal doesn’t stop there. 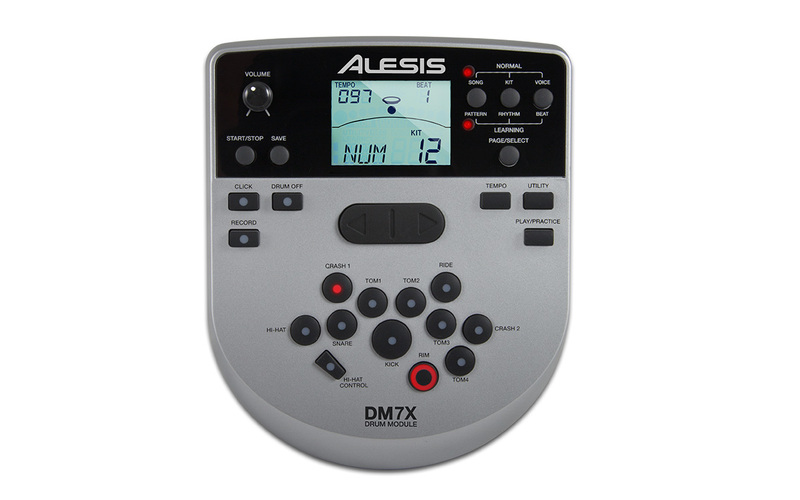 The DM7X Kit is an excellent choice for any electronic percussionist, whether you’re just starting out, or looking to upgrade to a higher-quality kit with a professional module. The DM7X module is filled with sounds—and surprises. The backlit LCD screen makes navigation a breeze. Drum and cymbal buttons are arranged to resemble the layout of a traditional kit, so it’s simple to assign sounds and create kits quickly. The DM7X comes complete with 40 classic and modern ready-to-play kits. Easily tweak any existing kit, or create your own using the 385 superior drum, cymbal, and percussion sounds included in the DM7X module. Great as they are, sounds are just the beginning. Inside the DM7X module you’ll also find valuable extras. The built-in learning features, sixty play-along music tracks, and an onboard metronome allow you to improve your skills. There is even an advanced sequencer and a performance recorder to expand your music-making potential. In addition to the USB MIDI connection for use with computers and mobile devices, the DM7X module also offers up some old school MIDI In and Out jacks so you can hook up to your favorite MIDI-equipped drum machine, sound module or other audio gear. There is a headphone jack for private practice, plus stereo outs to connect to a PA system, amplifier, or recording console. The stereo aux input allows you to jam along to your favorite tracks on your CD or MP3 player. The DM7X Kit comes with more drums, more sounds, and more features than any other kit in its class. Start counting with five advanced design 8" dual-zone drum pads—four toms plus the snare. Next, add in an assortment of four 10" cymbal pads with choke: hi-hat, ride, and two crash cymbals. Finally, top it all off with the Stealth Kick 2 compact kick trigger pad, paired with the chain-driven Pro X Kick pedal. The preassembled fold-out stand makes it easy to get everything in place so that you can start playing quickly and easily.